As a busy entrepreneur, I am open to almost any solution that keeps me organized, makes transacting business easier and improves communication between my co-workers, clients and business advisors. It’s a real bonus when those solutions are free. Enter “Four Highly Effective Organizational Apps” without which MultiBrand Media International, Maximized Brand Marketing International and Valoriant Safety simply cannot operate. A little more than a year ago, our company’s Creative Guru, Isabel, pointed out that The MBMI Companies were missing the boat, and business, because we were not using Slack. When I visited their website , I learned everything that I needed to know about the product’s functionality and attitude. First, it’s free for as long as you want to use it, with as many users as you choose. Yes, there are some paid enhancements, but they just aren’t necessary for real humans. 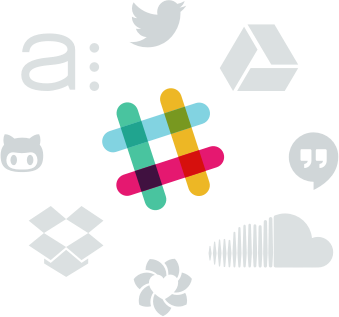 We use Slack to hold text conversations, share huge files and hold group meetings. Sometimes, we create private groups for private meetings. Other times, we one-on-one chat. Slack also jams in a band with more than 80 apps/programs you already use. You can even make those programs post in Slack, making it even easier to track info and data you need. Yes, it syncs to both Android and iOS, too. It’s on your phone, tablet and computer. It’s like your mother-in-law’s meatloaf: You can’t get away from it. Evernote was my first business app love. I admit it. I started out dating this app and ended up marrying it. When I go from free “Basic” to paying $49.99 for “Professional,” you know there’s a ‘there’ there. (Note: You get three months of Pro for free.) Go crazy with me. Click www.evernote.com and DL it. Do it. Right now! Why are you waiting?? I thought you’d never get back. While I waited, I clipped some web stories and put them, whole, into my digital legacy for all eternity. Sure, I use this program in the way I think it was originally intended; an unlimited electronic filing cabinet with a built-in curator. In the beginning, Evernote was a list and note keeper that boasted this cool keyword feature that let me find my stuff, fast. Then I began to learn Evernote’s real power. By creating “Notebooks,” in effect, I created Themes. By creating notes to go inside those notebooks, I created theme-specific content. Using “Tags,” this, too, is searchable, btw. That’s just one of many features that are both nifty and useful. Reminder allows you to revisit your notes, making this a valuable sales tool. Presenter immediately creates a shareable Power Point-like presentation, by processing notes, pictures, graphs…anything that you have inserted into a Notebook. I’ve even included Power Point and Keynote slides. After all, why hassle with conversion when Evernote migrates and keeps the formats of your slides? Are you sharing files with your team or clients? Click the Annotate tool to allow them to make wholesale changes to a PDF created from your notes. If this all sounds overwhelming, a single Info tool allows you to enter an unbelievable amount of useful and pertinent data, in one place. Finally, just for fun, Evernote’s developers included an Atlas. It maps the creation location of every note, response or conversation. Oh…and I forgot. There’s a nifty Chat feature like Slack’s onboard, too Use this app for ten days. I’ll bet you can never give it up. SimpleMind Free says it all: It is both without cost to users AND its user- friendly interface allows both sides of your brain to engage. The creative and analytical yous will join to produce colorful graphs and charts that clearly define and address even the most interwoven intellectual stratifications and problems. The additions of Child and Sibling topics to the parental themes, again in palette colors, can be copied, clipped and pasted to style customizations that represent any imaginable project or train of thought. Choose to add color, or even erase portions of your work, after the fact. The artist in you will appreciate plentiful style themes within flexible workspaces. This is a free Google program. Go get it. Play. Enjoy. Solve problems. Folderol is a nifty little app that allows you, gratis, to assign predetermined and user-created colors to folders, both on your desktop and in your file systems. Imagine being able to visually recognize, with great ease, groups of folders filled with intertwined information. No more sifting through folder after folder looking for related data. Could there possibly be enough colors in the rainbow for your Herculean number of connected file folders? You betcha. For my artistic Mac-based friends (Sorry, Gates fans), allow me to offer one postscript. This one will cost you a little cash, though. It’s well worth it. After you read this paragraph, immediately click on www.affinitydesigner.com. I promise, you’ll thank me.